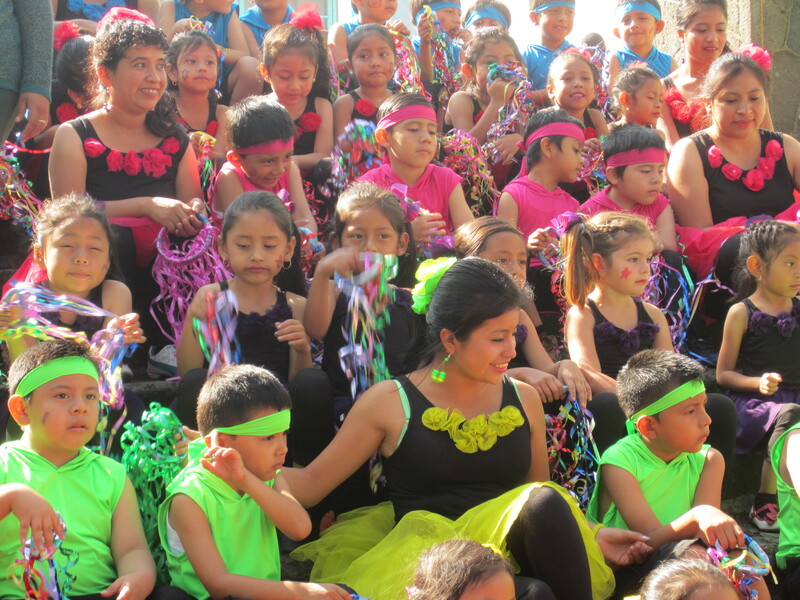 Today La Puerta Abierta participated in the community wide dance competition for the 2014 school Olympics. 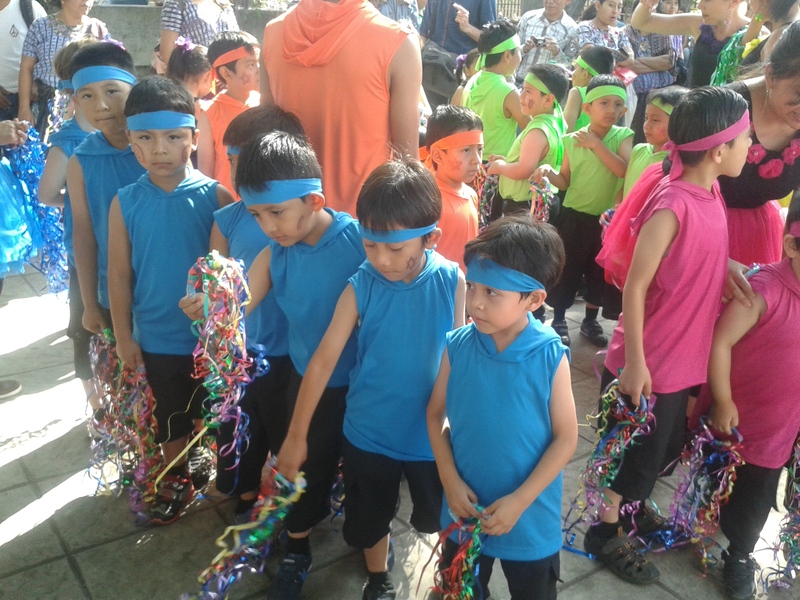 We were a bright burst of colors as we moved our bodies to a variety of songs including samba beats, “The Lion Sings Tonight,” “Baila con tu Cuerpo” by Basho http://bashoandfriends.com and “Happy,”by Pharrell Williams. We were all smiles on the town basketball court. 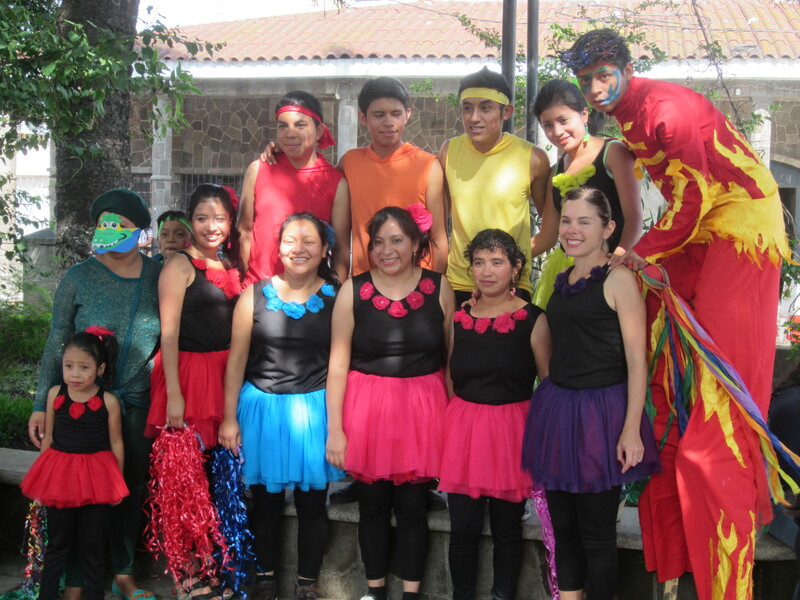 Profesor Isaias was the choreographer for our young dancers and Miss Isa helped in designing our colorful costumes. 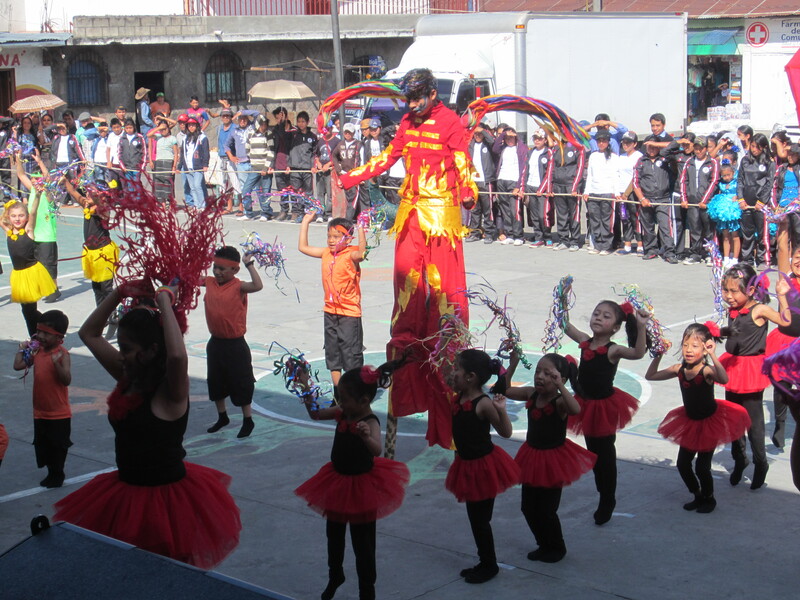 La Puerta Abierta shined with energy, enthusiasm and originality.